Come ride the Blind Creek Trail, Scotchman’s Creek Trail and then the Gardiner’s Creek Trail to the City. Bring food and drink to share at picnic stop on ride. We will pass close to Glen Waverley station on the way back in case you don’t want to ride all the way into town. 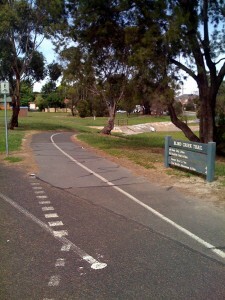 Some riders will branch off about there to head to destinations south of the City, and riding into the City from Glen Waverley is mostly via Gardiners Creek and Yarra off-road paths. Call 0421677416 if you are running late.